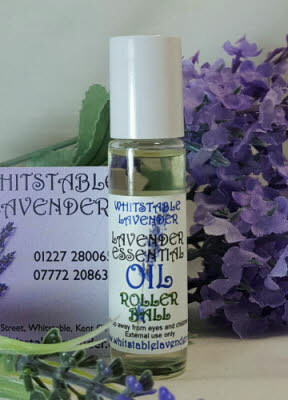 The Whitstable Lavender Essential Oil range includes, 10ml, 50ml & 100ml bottles with an internal dropper. 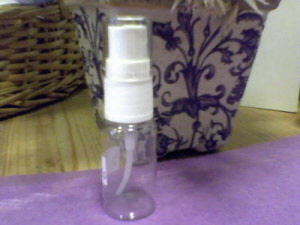 We also have a 10ml bottle with a roller ball for easier application. 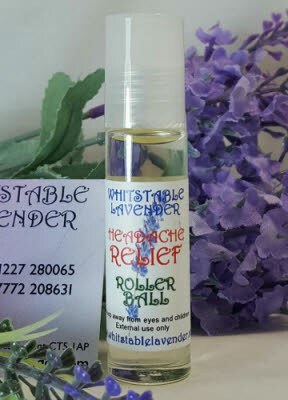 Whitstable Lavender have also created a special roll-on for headache relief. This contains a mix of Lavender Essential Oil & Peppermint Essential Oil blended with Almond Oil. 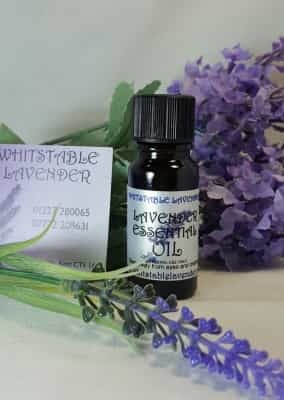 Lavender Essential Oil has many uses. It can be a help heal stings, soothe sunburn, help you to relax so you can get to sleep. It has a fresh fragrance and can be used to scent soft furnishings. 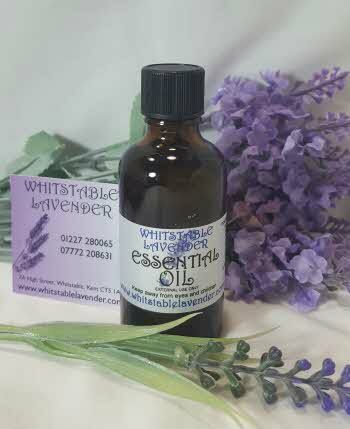 Lavender essential oil is non-toxic, non-irritating and non-sensitising. it is one of a few essential oils that can be applied directly onto the skin. Add a few drops to base oil and rub on dry or chapped skin to moisturise the affected area. 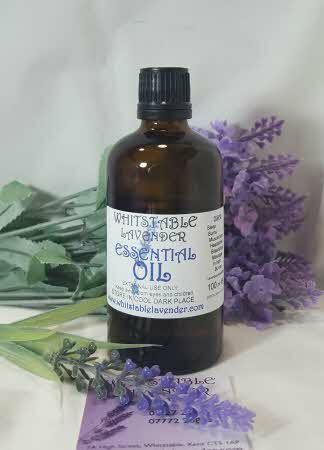 Add a few drops of lavender essential oil to a cotton ball and place it in cupboards and drawers to scent linens. You may be able to minimise the appearance of scar tissue by massaging lavender essential oil on or around affected areas. 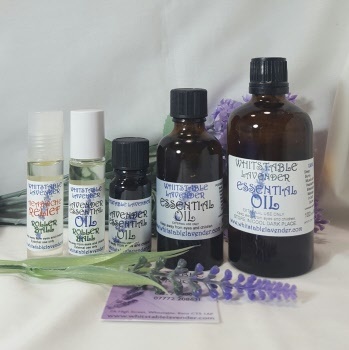 Place a few drops of lavender essential oil on a wet cloth or dryer sheet to deodorise and freshen your laundry. Diffuse lavender essential oil to set the mood for a social gathering. 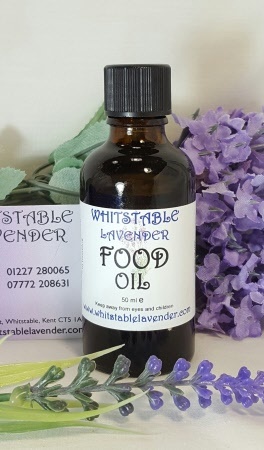 We also supply Lavender Food Oil in 10ml & 50ml bottles with an internal dropper. 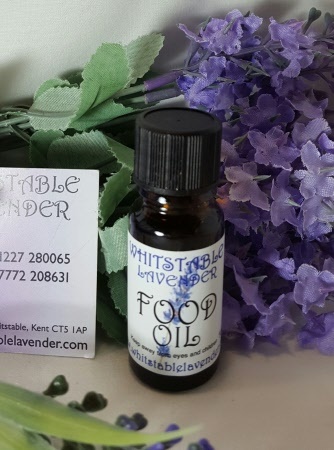 We suggest that you use the Lavender Food Oil sparingly when adding to food.